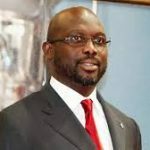 (AFRICAN EXAMINER) – Ahead of Liberia’s presidential run-off, former soccer star and front runner, George Opong Weah on Sunday visited the Synagogue Church of All Nations in Lagos, to seek spiritual help. 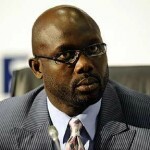 Weah was accompanied to the church by a former war lord and one of the 20 presidential candidates, Senator Yormie Johnson. 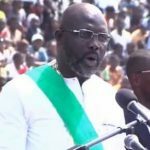 The ex-soccer star will slug it out with Vice President Joseph Boakai in the final battle of the presidential run-off in November 17. 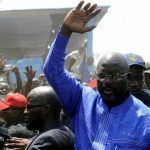 In the results released by the country’s electoral body in the October 10 election, Weah won 39 percent of votes cast while Boakai got 29 percent. 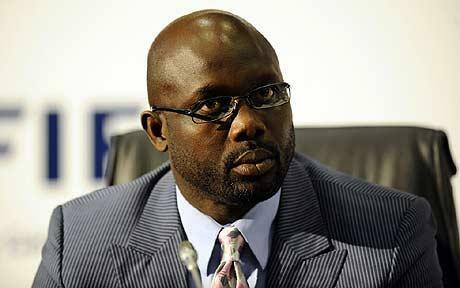 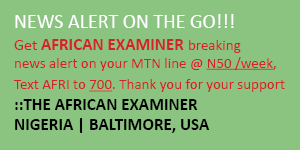 Liberia’s constitution demands that a candidate must score 50 percent of the total votes cast to be declared winner.